It was a long journey for Sohan Singh Josh, the son of an ordinary peasant from non-descript border village, Chetanpura (Amritsar), to become one of the most-celebrated revolutionaries of India’s freedom struggle. 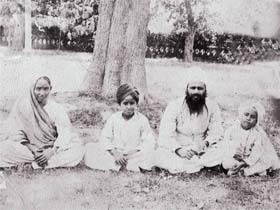 Sohan Singh Josh with his wife Mata Karm Kaur and sons Surinder Singh Josh and Devinder Singh Josh in the Meerut Jail complex in 1929. The Central government should “heavily” invest in sugar-based ethanol industry to cope up with the rising prices of the petroleum products internationally. This was stated by Mr Harkamaljit Singh, Reader and Head, Department of Applied Chemical Sciences and Technology of the Guru Nanak Dev University here recently. There has been an alarming rise in the number of tapeworm infection cases in the city in the recent months. The disease manifests itself in epilepsy-like seizures when the worm settled in the brain releases certain toxins, causing severe trauma to the patient. Unannounced, long and frequent power cuts compounded by the severe heat conditions has been plaguing the city for several days now. Another related problem has been shortage of drinking water. Saying that the benefits of the Panchayati Raj System was not reaching the poor in the rural areas, Mr Mani Shankar Aiyar, the Union Minister for Panchayati Raj, Youth Affairs and Sports, has claimed that though the Centre was doling out funds for the rural segment through bureaucrats, they were not optimally utilising the money. Singapore Airlines has announced a new scheme for passengers travelling from Amritsar to selected South-East Asian cities. Under the offer called “Sweet Deals”, passengers travelling with the airline would be entitled to discounted tickets to Singapore, Kuala Lumpur, Bangkok and Bali, Mr Vimal Rai, Manager, Singapore Airlines (Punjab), said. Eminent scholars were of the unanimous view that to fulfill the dreams of Dr B.R. Ambedkar, appropriate steps should be taken to change the thinking of the majority towards Dalits, educate the people belonging to downtrodden communities, rising above castism, removing inequality and making the Dalits aware of their rights. Josh, who waged unrelenting war against the mighty British regime, has not been given the place he deserved even after 58 years of Independence, though he was instrumental in shaping the destiny of the nation. Born on November 12, 1898, at Chetanpura, Josh passed the Middle examination from Church Mission School and the Matriculation from DAV School, Amritsar. For higher education, he joined Khalsa College, Amritsar, but had to discontinue his education on account of financial difficulties. In 1921, when the Akali movement started, he enthusiastically participated in it and travelled from village to village, preaching against the government. He was arrested for his seditious activities, and tried in the Akali Leaders’ Conspiracy Case and sentenced to three years’ rigorous imprisonment. The total jail sentence of Josh was more than 14 years. Interestingly, he started his political career as a diehard Akali leader and frontrunner leader of the Gurdwara Reform Movement, but later joined the Communist Party and desired in his last will that no religious ceremony be performed after his death. He was cremated in his ancestral house itself without any rites. His ashes were immersed in the Ravi. He led the movement to get back the keys of the Golden Temple that had been taken on November 7, 1921, by the Deputy Commissioner of Amritsar, Mr Dunnet. The incident had come as a bolt from the blue for the Sikh community, wrote Josh. He went from village to village, narrating the Golden Temple key episode. At that time, he was a member of the Shiromani Gurdwara Parbandhak Committee and the Shiromani Akali Dal. He was a multi-dimensional personality. Besides being the close companion of Shaheed Bhagat Singh, he was the General Secretary of the Shiromani Akali Dal and one of the founder-members of the SGPC, the founder-member of the undivided Communist Party of India and the General Secretary of the Punjab Pradesh Congress Party of the undivided Punjab. (Mr Partap Singh Kairon, who later became Chief Minister, was his office Secretary). He had a stint as a Politburo member and Chairman of the Control Commission of the CPI. His activities compelled the British authorities to sit up and take note of the deep unrest prevailing in the country. He displayed great courage and determination in the face of cruel persecution. His son, Mr Devinder Singh Josh, says that his father would contribute his entire money collected from different sources, including the Soviet Land Nehru Award, Punjab Language Department, for the welfare of common people and the CPI. For him, the party was the foremost. “However, the same party seems to have forgotten the great leader,” says his son. He adds that proper treatment was not arranged when his father suffered a massive heart attack that proved fatal on July 29, 1982. “Disillusioned” with the CPI, Mr Devinder Singh Josh has joined the CPM. The statue promised by the then Chief Minister Darbara Singh was proposed to be installed at Rialto Chowk, Amritsar. It has not seen the light of the day so far. The promise (as announced by the Congress Chief Minister at his native village, Chetanpura) to establish a 25-bed hospital in the name of this great freedom fighter has not been fulfilled even after 24 years of his death. It was due to the efforts of the Josh family, along with the local people and the CPM activists, that a memorial gate was built in the village itself. It is painful to admit that many noted visionaries, who had the courage to voice their opinion against what they thought was “wrong”, have been meted out a raw deal. Macauliffe died heartbroken. G.B. Singh, the historian of the Gurmukhi script, was physically assaulted. Similarly, Josh, too, faced “humiliation” in the hands of Akali leaders for raising objections as per democratic norms. Having a flair for writing, Josh adopted journalism as his major vehicle for propaganda against the British government. He was associated with the revolutionary paper “Kirti” (for which Bhagat Singh had worked for three months). When in 1935, “Kirti” assumed the name of “Parbhat”, once again Josh was its editor and publisher. According to Mr Niraja Rao, in 1925, Bhagat Singh returned to Lahore and within the next year he and his colleagues started a militant youth organisation called the “Naujawan Bharat Sabha”. In April 1926, Bhagat Singh established contact with Sohan Singh Josh, and through him the “Workers and Peasants Party” brought out the monthly magazine “Kirti” in Punjabi. For the next year, Bhagat Singh worked with Josh and joined the editorial board of “Kirti”. Veteran CPM leader, Mr Harkrishan Singh Surjeet, says that it was most credible that Josh was elected the General Secretary of the SAD at the young age of 20-21 years. “The Akali Dal of that time was not like the one of today. The Akali Dal at that time had the credit for waging a war against the British and the feudalism prevalent in those days. The freedom struggle in Punjab was fought as a ‘religious movement’. 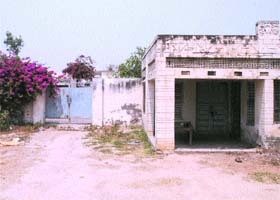 After the ban on the Communist Party, Joshji joined the Kirti-Kistan Party (KKP), founded in 1927 at Hoshiarpur. The KKP was considered as the ‘most dangerous’ organ of left leaders by the British government. Almost all executive members of the KKP were arrested in the famous Meerut Conspiracy case,” says Mr Surjeet. He adds that Josh was a close friend of his father, who himself was a senior Akali leader. Josh’s last will was published in his autobiography — My Tryst with Secularism — translated by veteran CPI leader, Ms Vimla Dang. It reads: “I am a Communist — a firm believer in Marxism-Leninism. I have contributed to the best of my capacity towards the formation and growth of the Communist Party and propagation of Communist ideals. I am leaving after having lived a full life. I am very happy that I dedicated my life to the toiling people who are the source of a country’s wealth and on whose labour depends the very life of society. As far as I can say, my life has been purposeful and fruitful. Communist ideology is based on historical materialism, according to which it is not man who is the creation of God but God itself is the creation of man. Tell-tales of heaven and hell are myths without any basis in reality. It is, therefore, my desire that after my death, there should neither be any crying or mourning nor any Kriya ceremony. There should be no other type of religious ceremony either. There should be no Path (religious recitations), nor any Ardas (prayers) for ‘peace of my soul’. I am satisfied that I have really lived to the best of my capacity a life of honesty, selflessness, sacrifice and devotion to our toiling people. Also that I have held the view that success in life lies in fighting struggles of toilers and in helping them to stand on their feet as proud, equal and self-respecting brave human beings. For me blessings of any religious personality has no value, nor is it needed. Souls of only those remain restless who have committed sins and acts of deception and betrayal against the people. Wealth could not lure or lead me astray. I am leaving behind all this in writing so that my dead body is not dragged into religious ceremonies. After cremation, my last remains should be thrown into the flowing Lahore branch canal, as an expression of my eternal love for the Muslim people across the Wagah and of spotless and unblemished role of my party during the mass massacre at the time of the Partition. Josh was on the forefront of almost all Akali agitations launched to liberate gurdwaras from “corrupt” Mahantas. He, however, had a bitter experience about using his democratic rights and raising objections over certain contentious issues. When Josh repeatedly objected to certain moves in an Akali meeting, he said he was physically removed by “bodybuilder” Akalis. Josh had been stoutly opposing the stipulation on the wearing of turban by women and other issues. An expert on the sugar industry, Mr Harkamaljit Singh said that as the country was in turmoil due to the increasing prices of petroleum products, the Centre should formulate a policy for new projects to allow only sugar complexes (sugar-alcohol-electricity with minimum 5000/10000 TCD capacity along with 20/40 MW exportable power generation and potable/power alcohol plant). This, he said, would save expenses on transportation for molasses and the sugar industry could provide steam and electricity to the adjoining distilleries comfortably without much investment. He said sugar industry was the only agro-based industry in the world, which generated electricity from its own fuel. Bagasse, with the cogeneration sugar industry, can contribute power and help the state electricity board for six months during the winter season. The sugar industry expert said Brazil, which was importing 70 per cent of its fuel during the 1973 Arab oil embargo, with their vision set up National Alcohol Program in 1975 and invested massively in the sugar-based ethanol industry. He said today Brazil’s automobile industry was using blend with up to 10 per cent ethanol, which required no change or adjustments in the vehicles. He said for almost 30 years ethanol had been used in light vehicles in Brazil with 25 per cent ethanol. The Nizam of Hyderabad, he added, was the first to introduce power alcohol production in India in the Nizam Sugar Ltd (distillery unit)at Shakaranagar in Nizamabad, for their fleet of vehicles. The expert said that in the existing technology of sugar production, 3 m/c boiling scheme should be changed to 2 m/c boiling scheme where distilleries were attached to the sugar complexes, so that BH molasses could be pumped into the distillery which would result in high yield of 310-320 litres per tonne of molasses, as compared to 215-225 litres per tonne of molasses (in 3m/c boiling scheme). He said the world over, the cheapest source of alcohol production from molasses, which was the co-product of sugar industry and 90 per cent of alcohol was produced from molasses worldwide. He said with spent wash from the distillery, one could produce biogas. “About 60-80 per cent of the total fuel requirement of a distillery can be met in the shape of biogas (60 per cent methane and 40 per cent CO2).” With this blend, the automobile exhaust would come under permissible limits and as a result of it, air pollution would be controlled and health hazards minimised, he added. There has been an alarming rise in the number of tapeworm infection cases in the city in the recent months. The disease manifests itself in epilepsy-like seizures when the worm settled in the brain releases certain toxins, causing severe trauma to the patient. According to Dr Prabjit Singh, a neurologist with Escorts Multi-Speciality Hospital and Adlakha Hospital, 2-3 cases were being reported in both these hospitals daily. The neurologist said he had treated almost 100 cases in the last six months. The medication for the disease needed to continue for two years to eradicate the worm from the body, he added. The worm completes its cycle in the pig. The faecal matter or stool of pork/ pig-meat consumer carries the worm to the sewerage. The water contaminated by this kind of sewerage disposal is mostly used to irrigate fields. The worm then settles in vegetable leaves. The neurologist, who had undertaken research in this field in the All India Institute of Medical Sciences, says, “Cabbage is the most vulnerable to house this worm. Since the vegetable is used in raw in salads and fast foods much washing, the worm continues to subsist in its womb. The consumer of the infected cabbage thus gets infected when the worm lodges itself in the intestines, he adds. The life cycle of the worm can only be cut by controlling the population of pigs, hygienic disposal of faecal waste and checking samples of pork sellers, say experts. The farmers too need to be made aware of not irrigating their fields with untreated water, they add. Mr K.S. Kang, the Municipal Corporation Commissioner, said the corporation would consult veterinary experts and draw a strategy to control pig population besides consulting health authorities to check samples of pork sellers and pork being used in restaurants and eating joints by the name of pepperoni. Spokesmen from various industries and trading associations, especially paper and steel mills, have also been resenting against the prolonged power cuts. They claimed that production in the industries had dipped. Officials at the Municipal Corporation said they were trying to synchronise the water supply schedule with the power supply timings in the mornings and evenings. Certain areas of the Walled City and the Civil Lines had also been affected by low availability of water due to untimely power cuts. To overcome the shortage of portable water, the corporation said it was planning to revamp the entire water supply and overhead reservoir system. The corporation has decided to install heavy-duty generators at the water heads for round-the-clock supply to several areas of the city. There are also plans to install more tubewells by this month. Authorities in the corporation said the increased use of air conditioners was adding to the power woes. Mr Aiyer, during a visit to the district here recently, said the Panchayati Raj system needed to be reformed, enabling rural people to have direct access to the funds. He added that more than 70 per cent of the country’s population was living in the villages. The minister lamented that states were not following Kerala’s pattern of development. He said the Planning Commission had allocated Rs 40,000 crores per annum for the development of the rural sector. “This amount, if rightly used, would greatly benefit people living in the villages. He said that in the current year, more than Rs 20,000 crore would be released to the Panchayati Raj Institutions. Saying that there was a lack of awareness amongst the elected representatives of the Panchayati Raj system, the minister added that the Zila Panchayat committees needed to be restructured for effective governance and proper allocation of funds. Singapore Airlines has announced a new scheme for passengers travelling from Amritsar to selected South-East Asian cities. Under the offer called “Sweet Deals”, passengers travelling with the airline would be entitled to discounted tickets to Singapore, Kuala Lumpur, Bangkok and Bali, Mr Vimal Rai, Manager, Singapore Airlines (Punjab), said. The promotion scheme entails discounts ranging from 30 to 40 per cent on economy fares to these destinations, he added. Mr Rai said bookings for the offer must be made by May 20 and the tickets for outbound travel was valid from May 12 to 31. The tickets under the offer would be valid for a month. The passengers, he said, would be provided with state-of-the-art in-flight entertainment system. Also, special meals for religious or medical reasons, if requested, and Punjabi and Hindi-speaking crew would be arranged, he added. The scholars were expressing their views in the seminar here on “Life and Teachings of Dr Bhim Rao Ambedkar” organised by the Dr Bhim Rao Society on the occasion of his 115th birthday anniversary. Dr S.P. Singh, Vice-Chancellor of the Guru Nanak Dev University presided over the seminar. The scholars alleged that “high profile officers” belonging to the Dalit Community had not made any contribution for the welfare of their own communities. They exhorted the educated class to undertake the responsibility of educating at least one person. They said only education could bring equality in this era of privatisation, globalisation and commercialisation. Talking about the reservation policy, Dr S.P. Singh said in spite of the reservations for the Dalit community, another category had emerged within the reserved category. He said instead of serving their community, they had disassociated themselves.